A McDonald’s restaurant and parking lot once occupied the Dumbo lot which has substantially escalated in value in less than a year. NEW YORK CITY—Brooklyn continues to show signs of being a hot investment as Bruman Realty closed on its purchase of 240 Gold St. in Downtown Brooklyn. 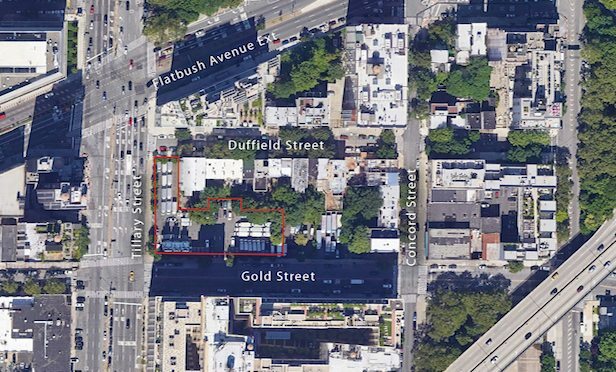 The Dumbo (short for Down Under the Manhattan Bridge Overpass) lot comprises 26,916 square feet of ground space with a projected 193,258 square feet of zoning floor area for residential development. A McDonald’s fast-food chain and a parking lot formerly occupied the space.